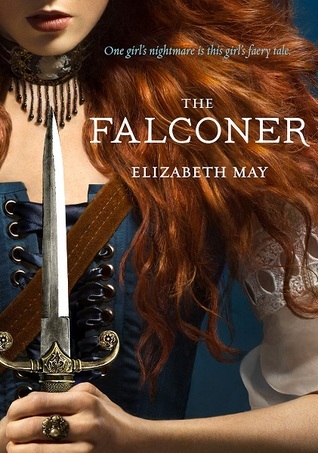 Review: The Falconer was easily one of my favorite reads this year. It was so fast-paced that I finished the book in two days because I just couldn’t put it down. Aileana is a strong female character and I love a good book that also has strong characters in it. I can’t really handle the whole damsel in distress thing that sometimes comes with some novels, so I’m currently loving the strong female character that is being written in books lately. One thing that surprised me most about The Falconer was how funny it was. The character interaction comes with a lot of humor and I found myself laughing out loud at times. I think that whenever I read a fantasy novel I often expect it to be very serious but having the funny banter between Aileana and Catherine or Aileana and Gavin was nice to see (or I guess in this case read). The story overall is different than others I’ve been reading mainly because of the the steampunk element to the story. While it isn’t the main feature of the story line of The Falconer it is more heavily present than I realized it would be, I suppose it serves the purpose of allowing some “modern” things appear in a historical setting. I don’t usually love the steampunk theme but it didn’t distract me too much from loving the book overall. There is also a romantic element to the story it sort of builds itself up so it doesn’t take over the whole novel but I thought it was nicely done and I’m sure it is more heavily present in the second book. Which I’ve started already because once the first book ends you’ll definitely want to pick up the second. Summary: Most teens dream of visiting the City of Lights, but it feels more like a nightmare for Sophie Brooks. She and her brother are sent to Paris to spend the summer with their father, who left home a year ago without any explanation. As if his sudden abandonment weren’t betrayal enough, he’s about to remarry, and they’re expected to play nice with his soon-to-be wife and stepdaughter. The stepdaughter, Camille, agrees to show them around the city, but she makes it clear that she will do everything in her power to make Sophie miserable. 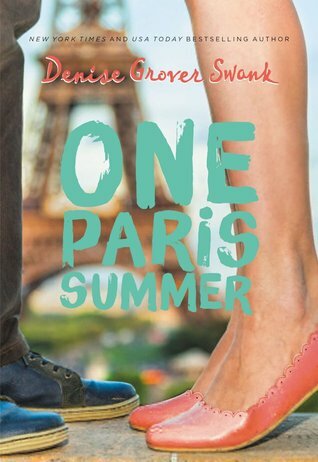 Review: I loved 70% of this book and maybe that sounds bad but let me start off with stating that the first 3/4 of One Paris Summer was good enough that I actually finished the book instead of skimming through the last few chapters to get to the end like I tend to do when I’m done reading the story but still want to know how it ends (you feel me). But this story had its moments and it takes place in one of my favorite settings, France; more specifically Paris and that’s what made me decide to read it in the first place. The story follows Sophie and her brother Eric as they spend the summer in Paris with their estranged father and his new family. Sophie struggles with her time in Paris and especially her new stepsister Camille, who quite honestly is extremely immature in this book for someone who is 17 years old. Sophie also struggles with her dad who a year ago left her, her brother, and their mom to move to France, this struggle in particular plays a large part in the book. There is also a romance in the story between Sophie and one of Camille’s friends Mathieu. The romance is cute but there is unneeded drama towards the end between the two and also another dramatic part with Sophie’s best friend that feels completely out of left field from the rest of the story. Its the escalated drama that really made me change my overall rating from 4 stars to 3. If you want to know my sense of humor watch anything with Amy Poehler or Tina Fey in it and that will pretty much let you know. I have especially had a growing appreciation for Amy Poehler ever sense I watched Parks and Rec, if you haven’t watched this show on Netflix yet you are doing yourself a disservice (in my humble opinion). But if you have watched this show and loved it then you will understand my appreciation for Amy Poehler (which is just a nicer way of saying I have a mild obsession of Amy Poehler). I’m sure this book is better as an audible book as Amy reads it herself. I know that when I listened to Tina Fey’s Bossypants her narration of the story made it better. 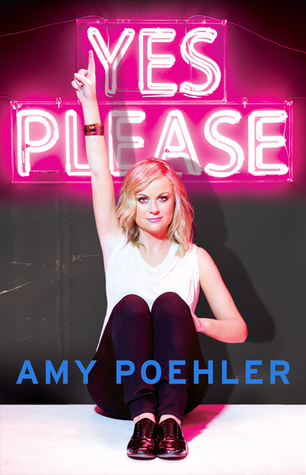 I can’t wait to get around the reading/listening to Yes Please, I’m sure it will make a great listen for all the road trips I’ll be doing this holiday season.